Because conventional Android tablets don’t seem to be selling quite as well as they used to, Google decided to partner with Acer almost a year ago for the world’s first Chrome OS-powered slate. 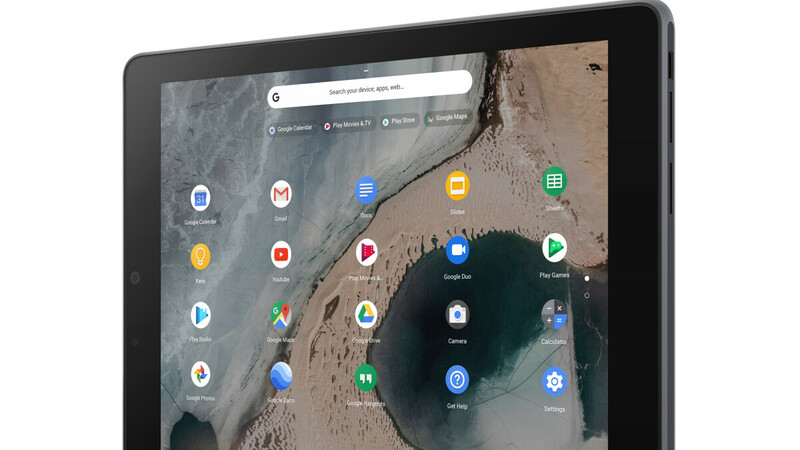 The confusingly named Chromebook Tab 10 was followed by Google’s own Pixel Slate, which is a significantly more powerful, mainstream-oriented slate that runs Chrome OS while naturally supporting Android apps as well. In advance of next week’s Consumer Electronics Show, Asus has taken the wraps off its rookie Chrome OS tablet effort too, suggesting these bad boys are about to become a thing. Much like the Acer Chromebook Tab 10, the newly unveiled Asus Chromebook Tablet CT100 is primarily oriented towards the education market segment, not to mention confusingly branded. That’s a hexa-core ARM-based chip manufactured by Rockchip, which powers a couple of full-fledged Chrome OS laptops in addition to Acer’s 9.7-inch Chromebook Tab. As such, while you’re obviously not looking at an Intel Core m3 rival, the raw speed and energy efficiency delivered by the OP1 should be more than enough for the everyday student. Thanks to the no doubt frugal processor, the 35Wh battery of the Asus Chromebook Tablet CT100 is purportedly capable of keeping the lights on for a “full school day.” The QXGA display is no pushover, mind you, sporting respectable 2048 x 1536 resolution, while its “strong” tempered glass cover keeps scratches and “gouges” away. More importantly, the newest Chromebook Tablet can withstand drops from heights of up to 100cm, even though the thing is not too chunky. It is pretty thick, at 9.9 mm, as well as heavy, at 568 grams (around 100 more than Apple’s latest 9.7-inch iPad), but we’ve absolutely seen worse. A built-in stylus neatly stored into a little “garage” in the tablet’s frame is another key selling point, but unfortunately, we don’t know how much this thing is supposed to cost. We do know the rest of the features are... standard, which is not necessarily a bad thing (depending on the retail price), including 4GB RAM, 32GB internal storage, a microSD card slot, headphone jack, and USB Type-C port. Set to be showcased at CES in Las Vegas next week, the Asus Chromebook Tablet CT100 will start selling in the "coming months", when we'll be able to fill in the pricing blanks too. How can a processor which was introduced a while back on the Samsung Chromebook Plus first edition be labelled a "mysterious processor"?